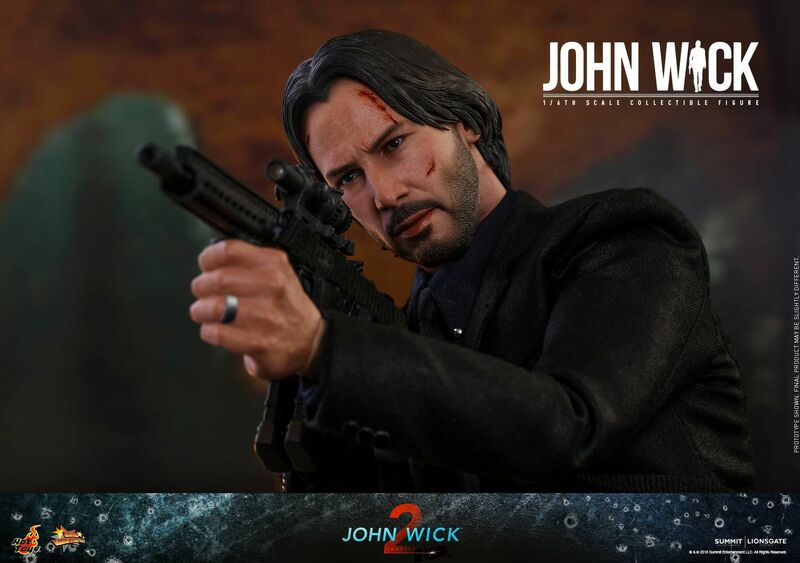 The John Wick® series follows the exploits of the legendary hit man as he unleashes mayhem and fury on the mobsters who have wronged him and the army of international assassins who want him dead. 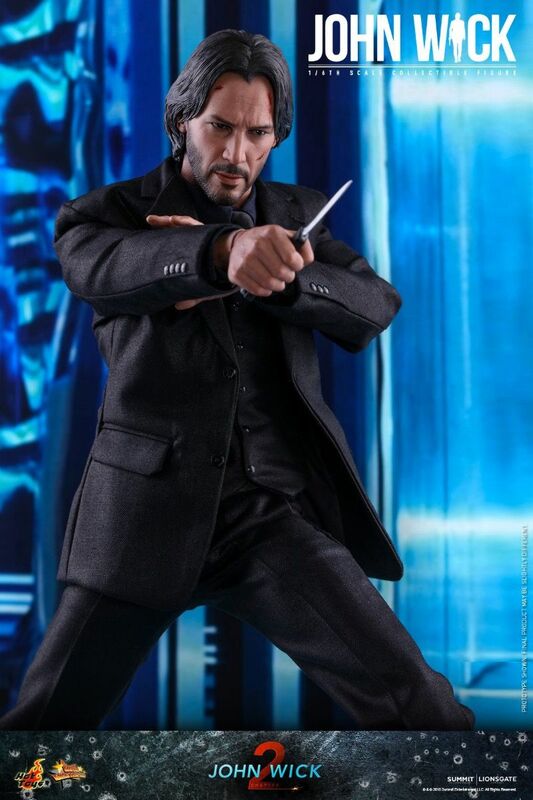 Exploding with highly choreographed gun-fu and combat, the thrilling action-packed films tell the classic stories of vengeance and redemption. 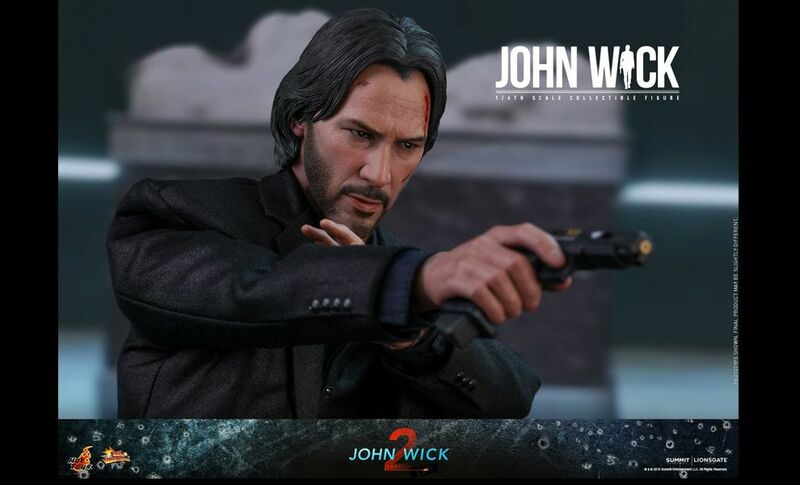 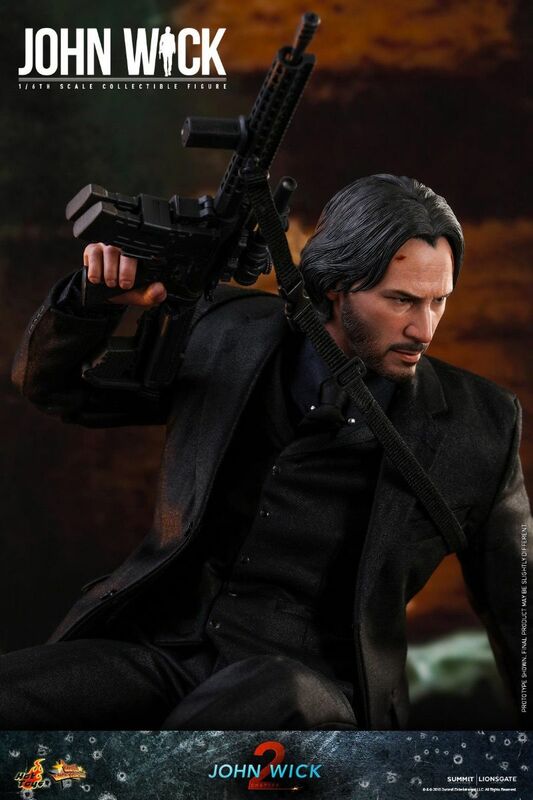 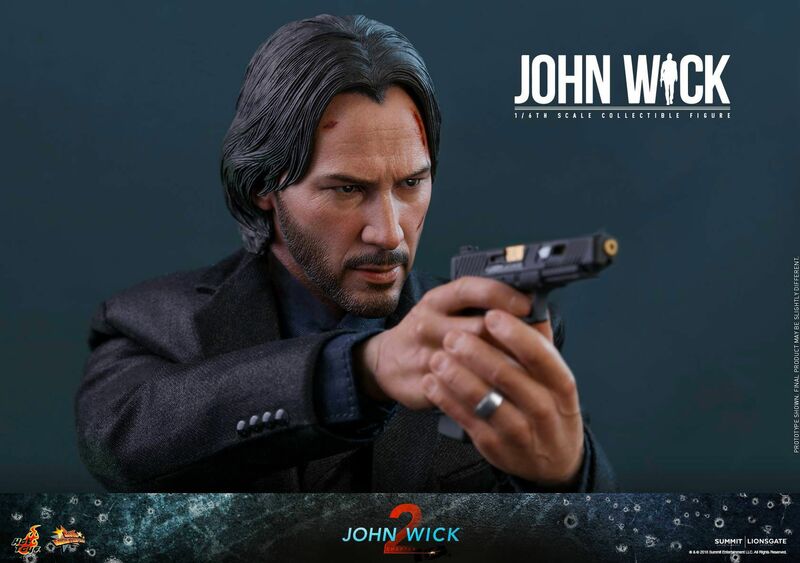 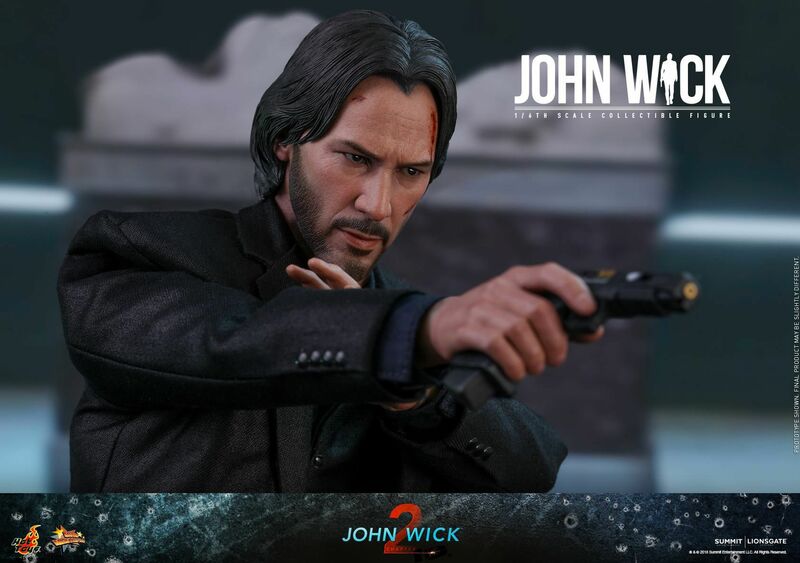 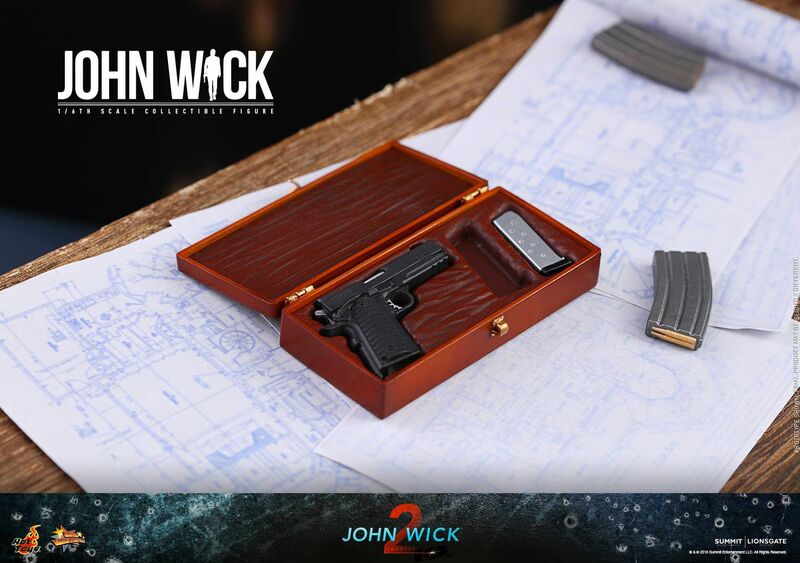 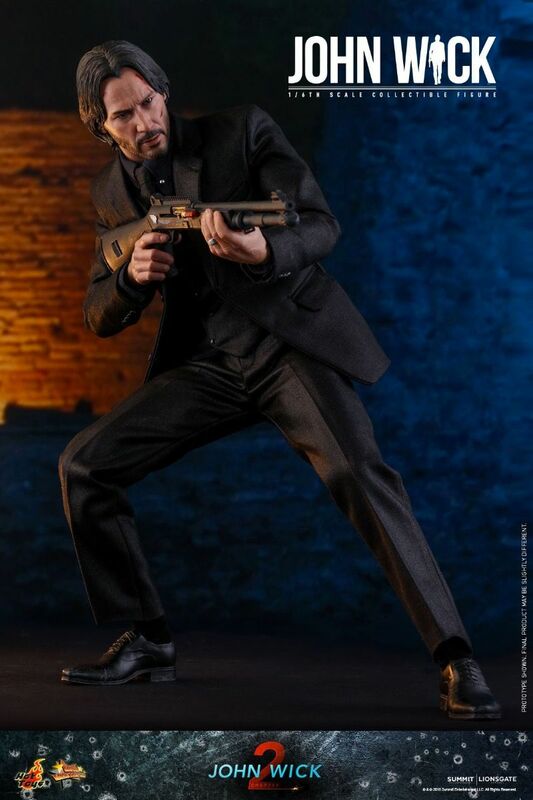 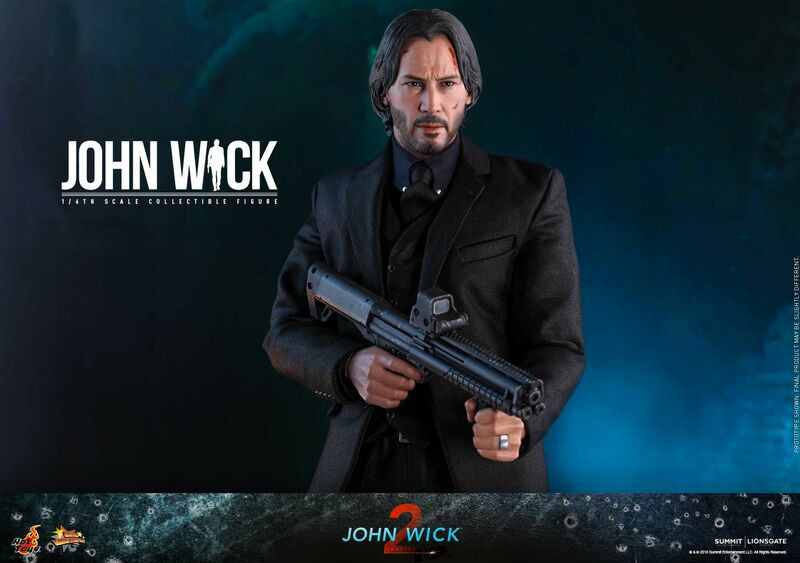 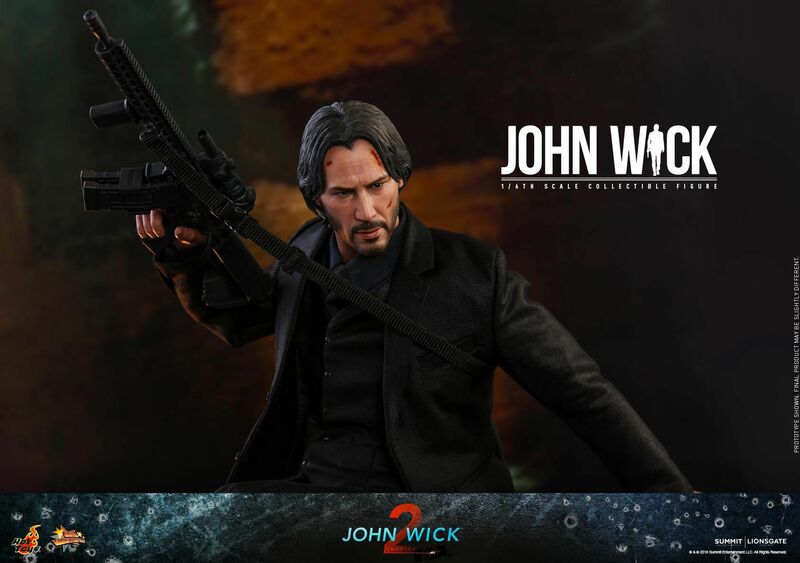 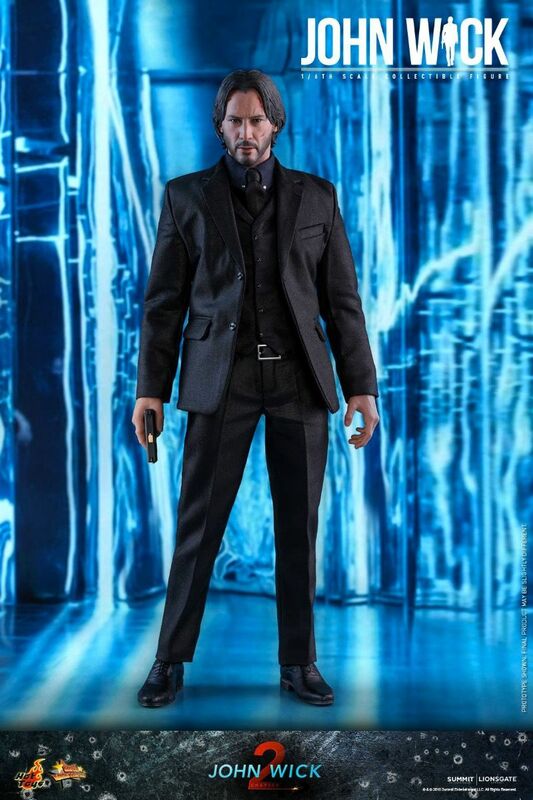 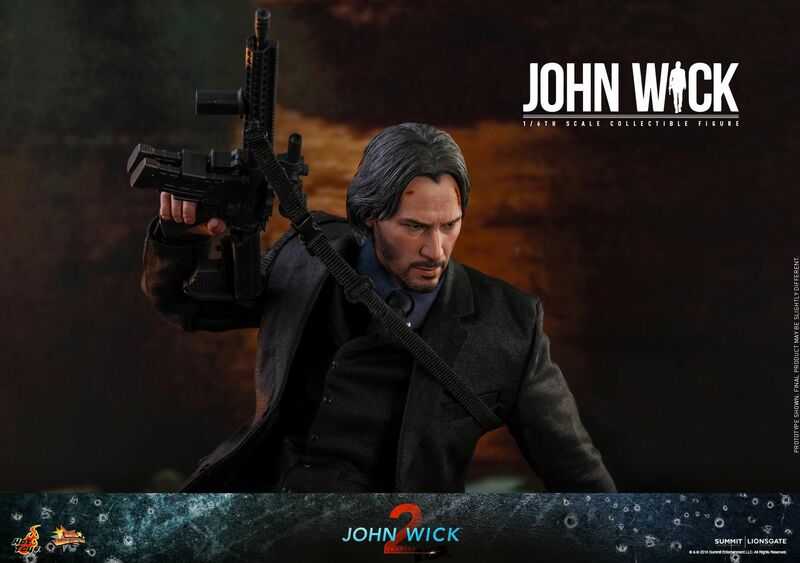 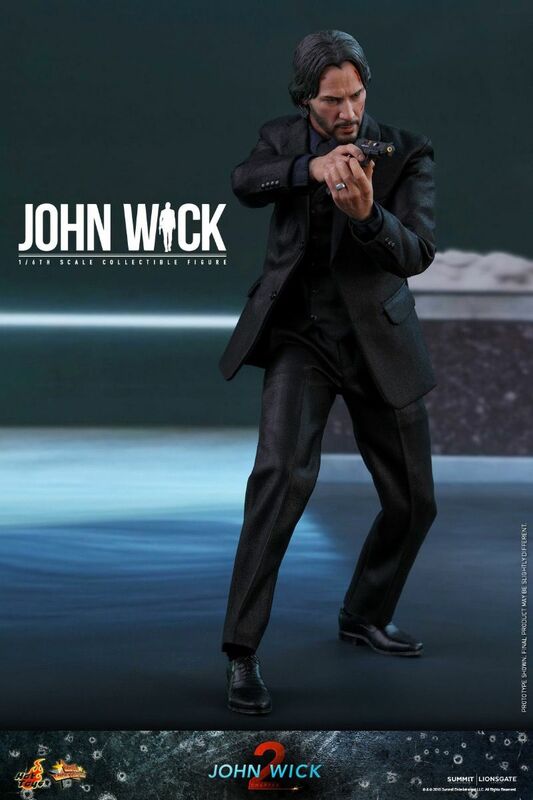 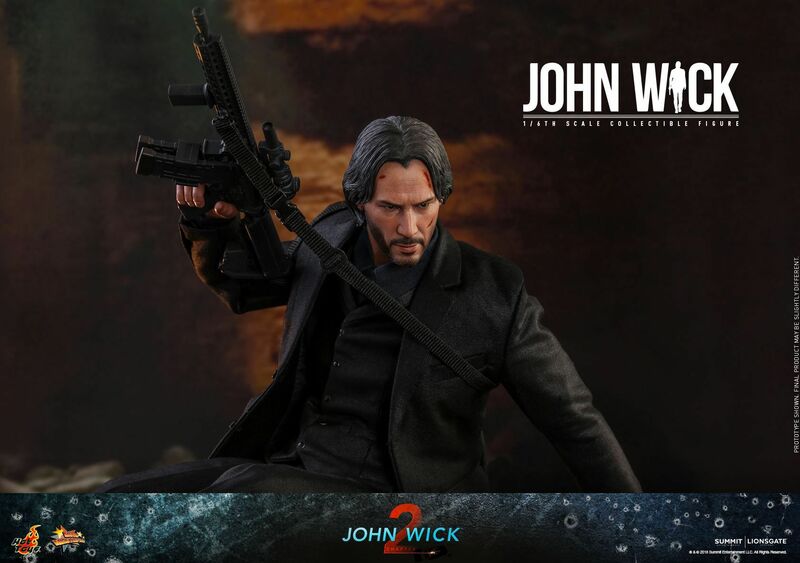 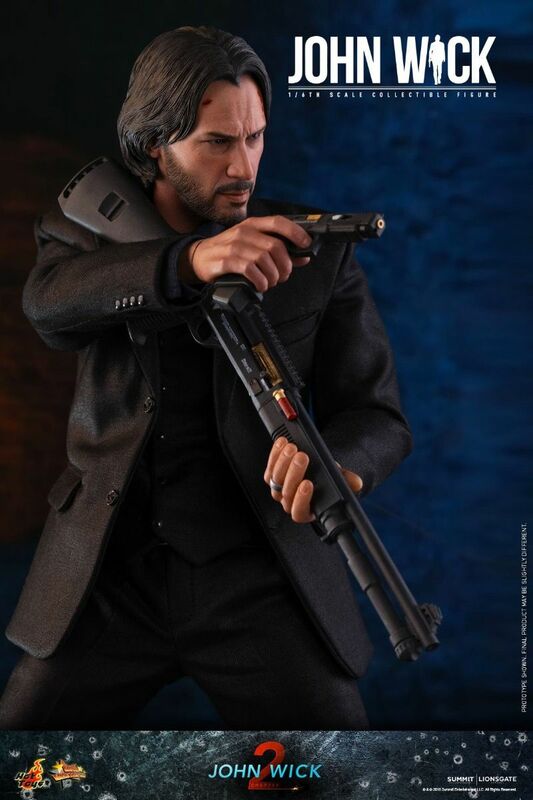 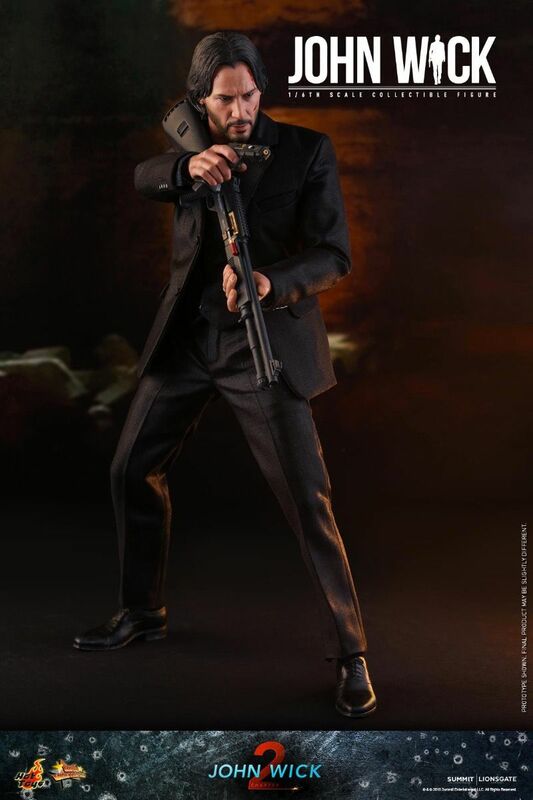 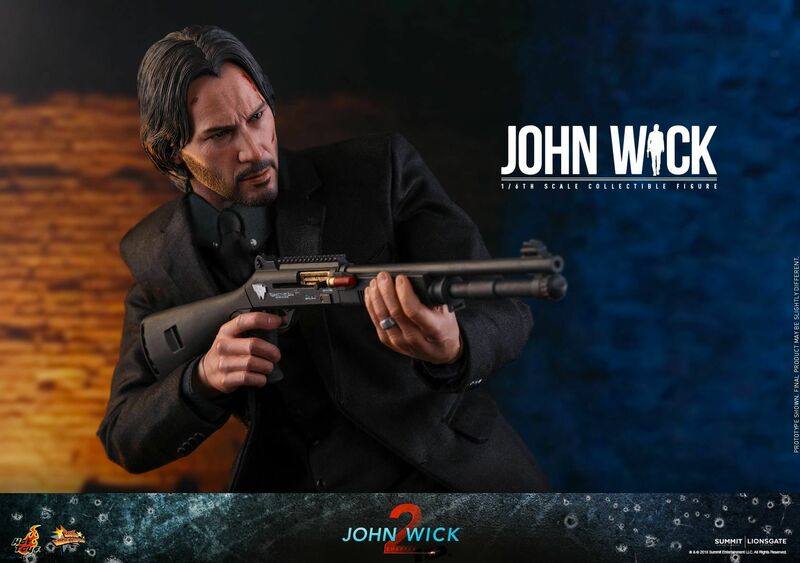 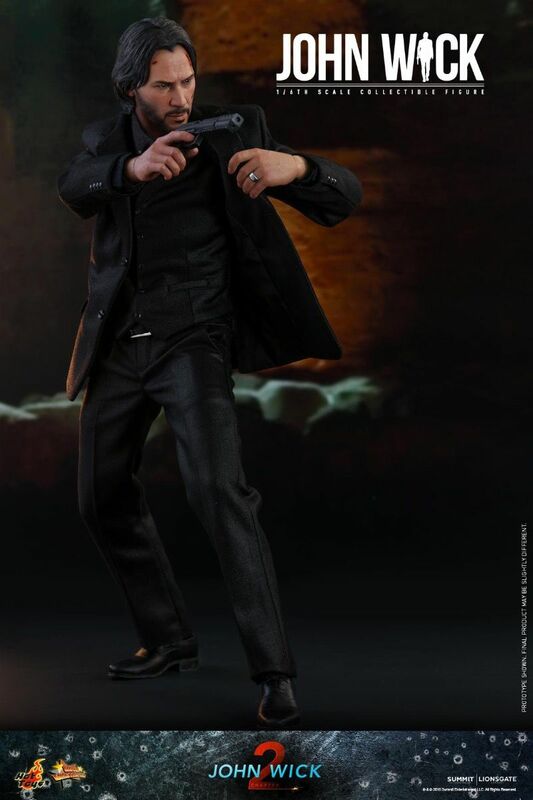 Masterfully crafted, this impressive movie-accurate 1/6th scale John Wick® collectible features a highly detailed head sculpt, a finely tailored three-piece suit, multiple articulations and an arsenal of weapon accessories including a variety of pistols, shotguns and rifles, a knife as well as John Wick®’s signature pencil. 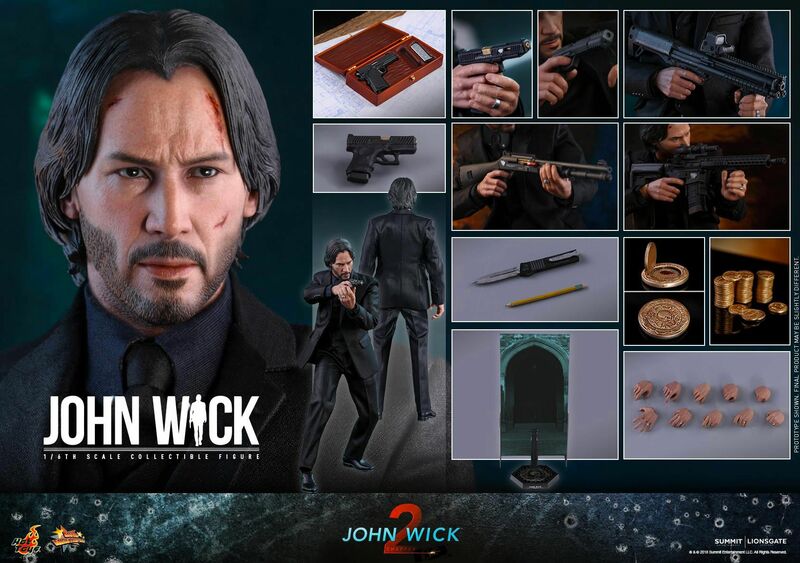 The collectible figure also includes two Blood Oath Markers, several gold coins and a specially designed figure stand. 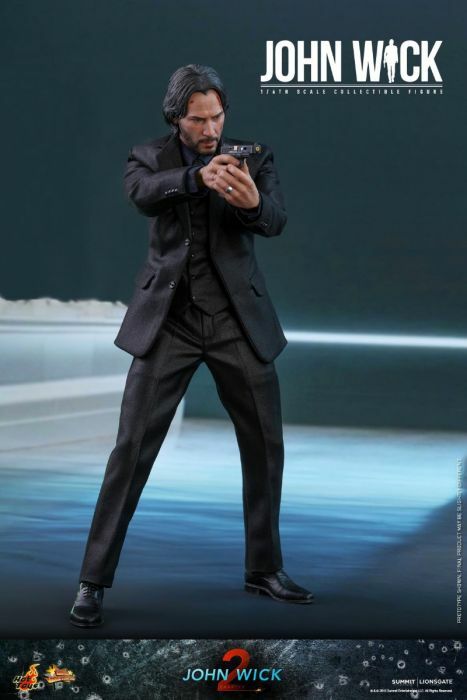 Don’t miss your chance to add this new John Wick® collectible figure to your collection.